Nowadays, humanity’s lifespan is the longest that has ever been in known human history. However, due to unhealthy choices, longer life poses a great challenge for many. With poor choices of food, stressful lifestyle, polluted surroundings, we shouldn’t wonder why people live shorter and suffer poor health, even though science is more advanced. The best people to provide us with the right kind of information that we want, when it comes to longevity, are those who have lived healthier and longer lives themselves. Such people can be found in a village in Italy called Acciaroli. This place does not only boasts with its stunning seaside beauty but also its centenarian villagers. There are around 2,000 centenarians, out of a population of 60,000, in the region of Cilento where Acciaroli is based, while a large number are in their 80’s and 90’s. What’s more amazing is that most of them lived healthily without suffering from any age related conditions. Only a few of them develop heart disease or dementia. Researchers found that people in the area have unusually good blood circulation and remarkably low levels of a hormone called adrenomedullin. High levels of the hormone impede blood circulation and lead to serious health problems, but the elderly residents had levels as seen in people in their twenties and thirties. 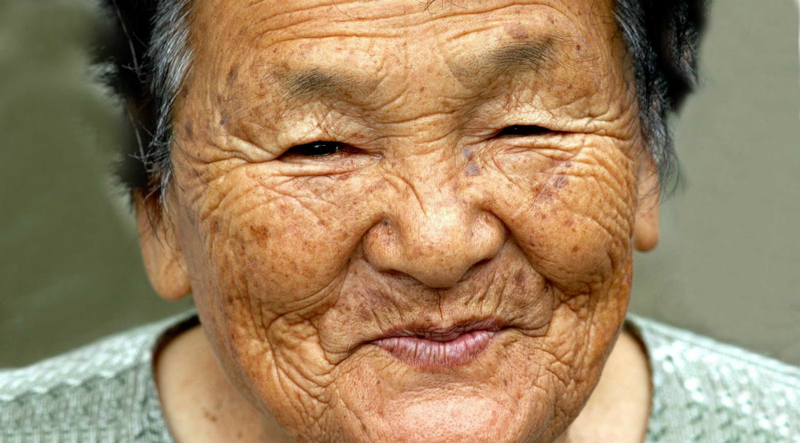 The scientists at Rome Sapienza University and the San Diego School of Medicine joined forces in unlocking the villagers’ secret to longevity. 1. Give your body what it’s good for it daily. This advice looks pretty simple, however, most people do not follow it. The centenarians point out that a healthy diet was one of the things that contributed to their longevity. Most of them follow regular meal patterns and a Mediterranean diet that consists mostly of fish, fresh fruits, vegetables, healthy fats and some carbohydrates. Eating moderately, organically and naturally is good to keep in mind whatever diet you are on. 2. Live an old fashioned life. Other centenarians pointed out that their old fashioned lifestyle was what helped them stay younger and live longer. Many of them raise their own animals to eat, grow their own vegetables, and spend time fishing for food. Their village even produces its own olive oil. There is something in this connection with their own produce that keeps them healthy. The simplicity and belonging the old fashioned lifestyle gives has some magic in it. 3. Spend energy to get energy. The San Diego cardiologist Alan S. Maisel, who spearheaded the study, observed that everyone in the village did something active each day. Those who are able, walked a couple of miles a day. Moving your body might momentarily take energy and burn calories, but it gives more life and vitality. Stay active every single day. Move, exercise, dance, walk, whatever your style is, just keep moving, stay active. 4. Embrace hardships to be tougher. Antonio, one of the centenarians, reminisced that when he was a young boy, they had to deal with the hardships because their village was cut off from the rest of the world. They had no running water or even electricity for many decades. It’s then theorized that only those who were strong survived those times and they’re the ones alive today. Hardships are experienced by everyone, but those who embrace them grow stronger from them. 5. Relax nothing is under control. In Ikaria, which is another rocky island in the Aegean Sea, inhabitants credited their long lives to living an easy going lifestyle. This involves taking naps, being stress free, drinking goat milk, and wine. They have close communities where they gather regularly to spend time with friends and people they care about, even at old age. The number of friends is not important as long as they are close friends. Find ways to laugh more every single day. Indeed, there is no magic formula for living a healthy and long life. As long as your daily routine revolves around eating healthy food, living a simple and stress free life, and getting active, you’re doing your part to live into a ripe old age.